Friends, today’s freebie is an ice cream cup PSD mockup. The cups are created in Photoshop with vector shapes and layers to look them close to real objects. 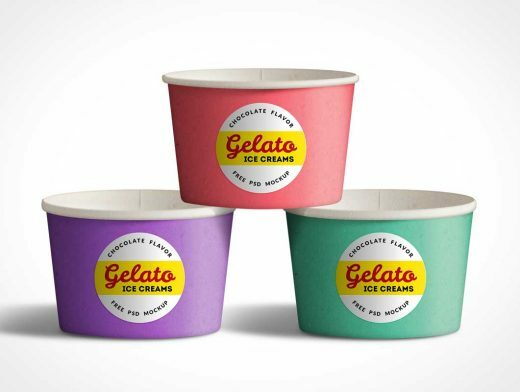 These cups are stacked to enhance the design effect and presentation value of your ice cream labels and designs. The label mockup can easily be replaced with your own artwork with the help of smart-object layers. Also, with one click, you can change the color of the cups to you liking. Download free PSD.